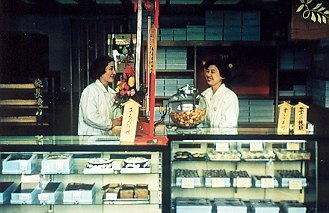 Two smiling girls who sold cakes, cookies, candy and éclairs. The food was really good. All of these photographs are at the Sendai City Museum. You can see them there.